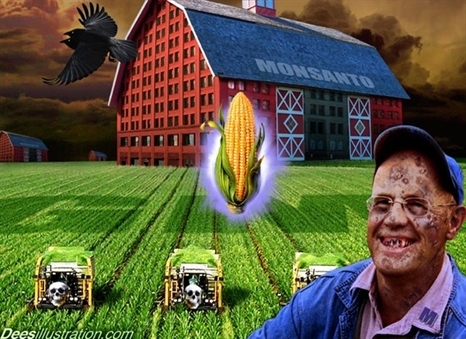 Glyphosate, marketed under the brand name Roundup is sprayed on genetically modified Roundup Ready crops which are engineered to survive heavy doses of the weed-killer. The crops soaked in Roundup are then sold to you as food, clothing, or fed to animals that produce food such as milk, eggs, and meat. Glyphosate use has increased from 20 million pounds per year in 1992 to a shocking 250+ million pounds. 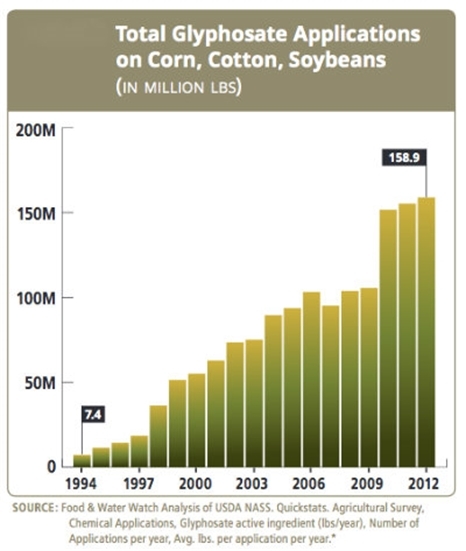 That’s a 1000% percent increase on the three largest genetically modified crops alone, one of which you’re likely wearing as clothing or unknowingly eating right now. By the way, cancer rates are still on the rise too. Glyphosate has been detected in the air, water, and of course food. Not to mention blood, breast milk, and urine as well. The longer we continue to allow the use of glyphosate in big agriculture the more polluted our world will become with this man-made chemical that is contributing to soaring disease rates. Health risks aside, one thing is for sure: using glyphosate resistant crops to deal with weeds is a failed idea. 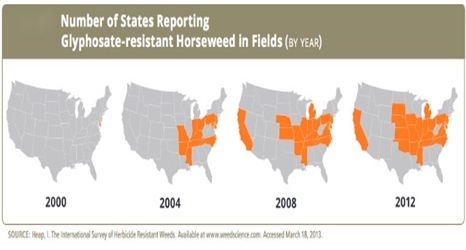 The reason glyphosate use has increased so dramatically is because weeds became resistant to the weed-killer. It created a breed of weeds that require even stronger and more poisonous chemicals to combat. The map below displays the Roundup resistant super-weed takeover. Read more about that by following this link. 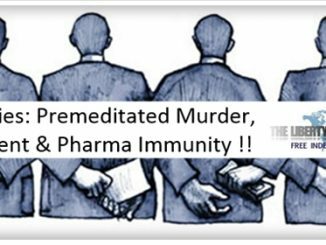 “Glyphosate and glyphosate formulations induced DNA and chromosomal damage in mammals, and in human and animal cells in vitro. TLB recommends you visit REALfarmacy.com for more great articles and pertinent information.